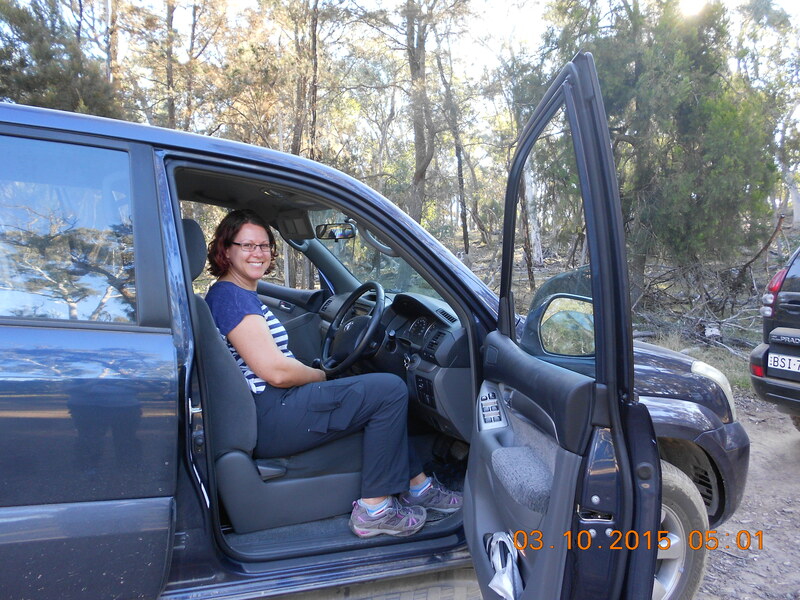 Our weekend of 4WD Driver Training, with Kath’s recent Prado purchase, had been anticipated for months, following our booking placed during the Caravan and Camping show back in April this year. Great Divide Tours offered all of the elements of a comprehensive and flexible introduction to 4WD handling, and also, at a key point in our preparations to enable us to ask (many) questions on vehicle preparation, trip preparation and just general experience of the instructors and participants . As we also hoped, it was a great chance to meet fellow enthusiasts, all doing the course for different reasons, but all motivated to learn more about safely and informatively furthering our 4WD driving knowledge. Here are some of our thoughts from the weekend. I was really excited to go on this course and had been looking forward to it for months. I love to drive, especially getting off the beaten track, and was keen to learn how to get the most out of my fantastic vehicle and put us both through our paces! I knew I was going to enjoy the course, but it really did exceed my expectations! The trainers were very knowledgeable and great at clearly explaining what we needed to do. The property the course was held on was amazing! Great tracks, mud pits, river crossings and steep hill climbs; a wonderful variety of conditions for us to drive in. We had a really great group of people. Everyone was friendly and we all supported and encouraged each other. It was also nice to see that everyone had a go at everything that was thrown at us! The course has definitely given us the knowledge and confidence to make the most of our adventures next year. I didn’t admit it in advance, but I had some trepidation leading into the weekend about my ability to cope with the course. 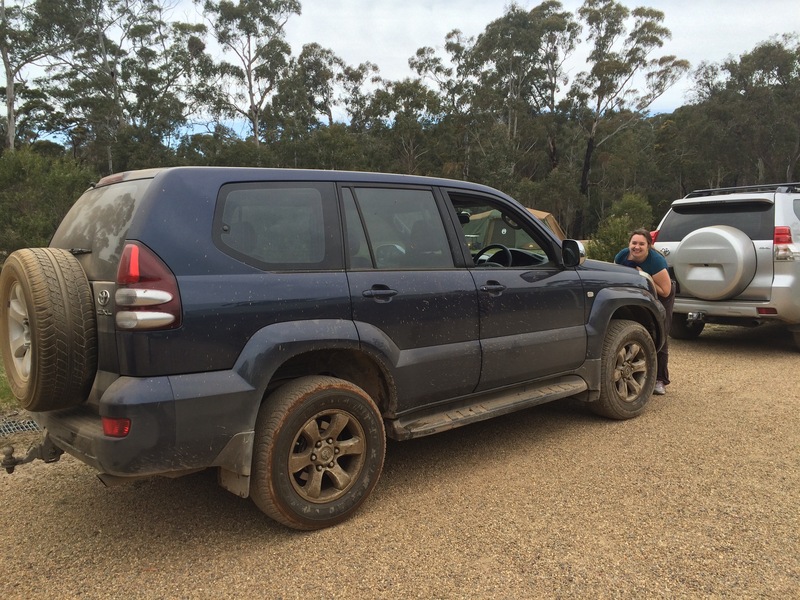 I had never driven a 4wd vehicle before including the Prado, have only very basic ‘car knowledge’ and thought I would be a bit out of my depth and that most of the participants would be streets ahead and I would be lagging. I needn’t have worried! The course was extremely well tailored, targeted, instructed and best of all, I was able to drive all of the obstacles through mud, water, rough terrain, hills, rocks and even survived the biting ants! In the end, it was jump in and have a go attitude that was going to make it the weekend that it was. The instructors were not worried that we could not do anything and always gave us confidence and encouragement (they of course knew their tracks and the capabilities of our cars due to their many years of experience). Stay calm, track assessment and take it slow and steady tended to get you through most things. My adrenalin kicked in a few times and there were doubts, but tackling each challenge as it came along, I started to feel more and more comfortable as the weekend went along…until we saw the 35 degree track…the scratchy surfaced, steep, muddy incline up a hill….. Yikes! Can my vehicle do it? Great questions, knowledge and encouragement for the challenges that await next year!